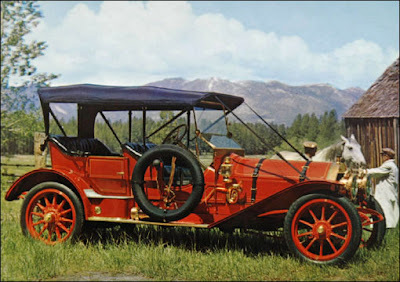 In the spirit of the autumn season ( a start of a new season is a good excuse to start anything ) I will begin a pictorial series on Motor-Cars. Yes mateys, motor cars with a capital M, because this series will feature the true, and one and only marvels of mechanical engineering...those vintage beautiful cars that were made between 1900 and 1930. Ah, I can hear the sound of their motors and the smell of the petrol already! This will be a picture series because as that famous saying goes...a picture says a thousand words. And frankly, writing about cars is not my forte so that makes it all the easier for me. Let's being with one of me all time favorites....The Thomas Flyabout. This magnificent machine shown below is a 1911 model K - 670. 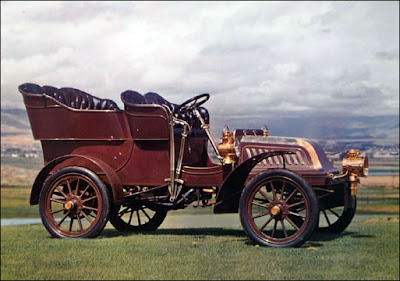 The Thomas Flyabout was made for only ten years, between 1903 and 1913, by E.R Thomas Motor Company of Buffalo New York. American through and through, this car was built solid and stood to last and it proved this to the world by winning The Great Race of 1908, a race in which driving competitors from 'round the globe brought their cars to race from New York to Paris...heading in a westerly direction of course. 22,000 miles this Thomas sped and it crossed the finish line after a grueling 169 days on the road. ( Incidently a wonderful motion picture was made about this race in 1965 starring Tony Curtis and Natalie Wood ). E.R Thomas Motor Company began as a bicycle business in 1902, and then switched to the vastly popular new form of transportation, automobiles. 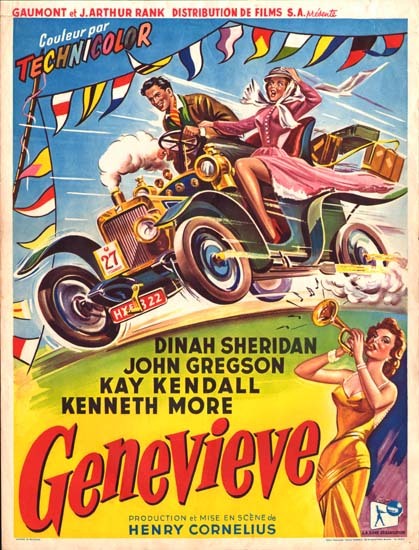 Their very first cars were a series of "runabouts" made for cozy twosomes. The one you shown below is a Model 18, Thomas Touring Car. . The company was so successful in selling these little runabouts that they started making bigger and grander automobiles as time went on and the company earned a reputation for making reliable and elegant motorcars. The Thomas sold for a whopping $6,000 at the time of its manufacture. ﻿Unfortunately, the cars were becoming too grand and the company soon found its in recievership...and later purchased by a smelting company. Ah, but what grand motors they were while they lasted! Great blog spot. Whatever did we do before John Steed and especially Emma Peel? Girls used to just fall down when the bad guys chased them making it necessary for the good guy to run back and rescue them. BUT NOT ANYMORE! Mrs. Peel taught us that girls are just as smart and courageous as guys and we can kick and karate chop too! HhhhaaaHhhhaaaa!